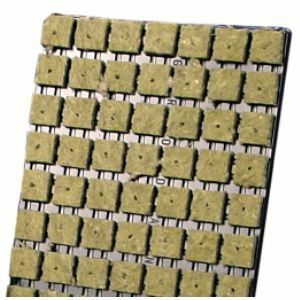 Grodan Rockwool Cubes are ideal for raising seedlings and cuttings. Clean, lightweight and supplied in their own plastic tray for easy handling, these continue to be one of the most popular growing mediums we sell. Once roots start to emerge through the cubes you will need to plant them on into larger Grodan Transplanting Cubes or some other medium. Large Cuttings Seed Cubes x 77, size 3.6cm (one and a half inch).